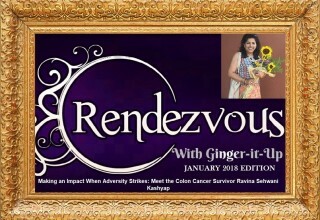 Let’s get inspiration from this diva who battled asthma to turn out to be an endurance runner. Her fighter spirits won her a mention in the Limca Book of World Records for being the first woman to run a distance of 1,500 km from Delhi to Mumbai in 30 days. This is where her real journey started. 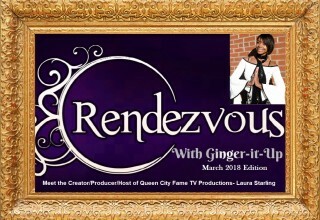 She’s the Woman Who Ran across the Country and Wrote a Book about her experience to inspire others. She was never an athlete. Becoming an endurance runner became incidental after she decided to fight against the severe attacks of asthma. She stood against destiny which denied her a natural healthy life. She is a fighter who fought against asthma, the societal scorns and the downtrodden thoughts of the average majority and ultimately succeeded in her goal running shoulder to shoulder with the men. She took up running at the age of twenty eight just for the sake of saving her health. She had no plans to bag any gold or silver at a professional tournament. However, it has been rightly said that the best happens to you when you least expect them. She created history by receiving a mention in the Limca Book of World Records. Sumedha Mahajan was born in the beautiful town of Amritsar, Punjab in India, home of The Golden Temple. 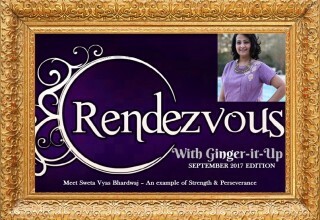 She is a successful business woman, runner, motivational speaker and writer. 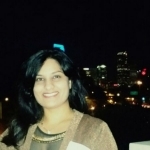 She is the founder and CEO of business strategy firm Karta Business Consulting. She is married and currently lives in Mumbai. 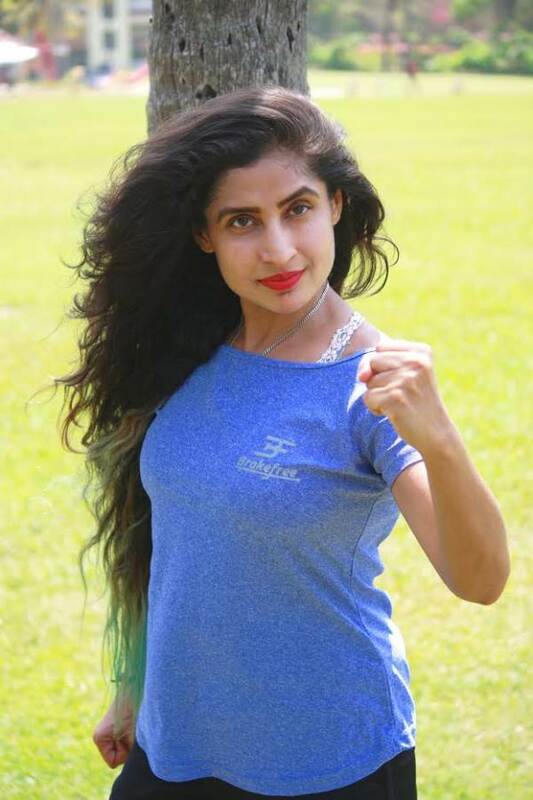 The Amritsar girl who has lived and worked in Bangalore, Delhi and Mumbai, has recently launched her own Sportswear brand ‘Brakefree’ which is the first ever women’s only sportswear brand in India. However, Running continues to be her biggest passion even today. 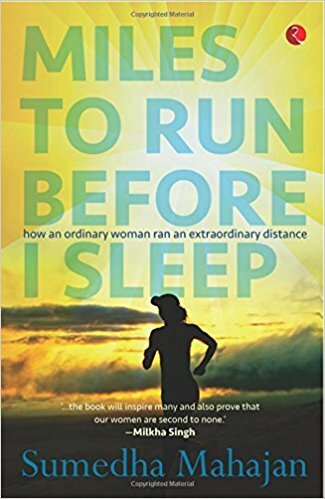 Miles To Run Before I Sleep, her first book, is her account of the 30 defining and eventful days of running along the highways from Delhi to Mumbai. Sumedha is the younger sister of one of my very good friend. 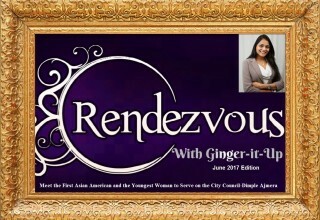 I got a chance to speak with Sumedha on a telephonic “Rendezvous with Ginger-it-Up” and it was a great experience to know more about her. So, a warm welcome to Sumedha Mahajan on “Ginger-it-Up”! Mani: Sumedha, Please tell us a bit about yourself? 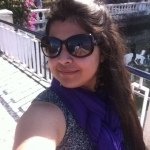 Sumedha: I am Sumedha Mahajan and I belong to beautiful city Amritsar. I am an endurance runner, author, entrepreneur and motivational speaker. My father is a Vice Principal at DAV College Amritsar and my Mother is a Radiologist and head of dept at Guru Ram Das Medical College Amritsar. I have 2 siblings – elder sister who is an entrepreneur and a younger brother who is working in financial sector. I am married and currently settled in Mumbai. I hold a bachelor’s degree in Economics and MBA degree in marketing. run a business strategy consulting firm called “Karta Business Consulting” and I design and own a sportswear brand called “BRAKEFREE – Reborn to Win”. 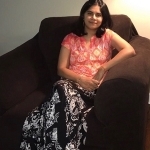 I am the author of “Miles to Run Before I Sleep” by Rupa Publications. I’m also a motivational speaker. I have given motivational lectures/been part of panel discussions across MNC corporates, colleges, institutes, schools, forums,NGOs etc. Mani: What motivated you to turn into an endurance runner? Sumedha: Endurance runs are actually a mind game. After a certain point your body is bound to give up and you have to play mind games to push your body further. Sometimes even your mind gives up and then you run with your heart. When heart also gives up, you still force yourself to run. I love things that challenge my existence and I like to see how far I can go. Mani: How was the experience of covering 1500Kms from Delhi to Mumbai in 2012? Mani: You ran along the highways from Delhi to Mumbai as the lone woman in a team of five. What were your concerns about your safety and security during that time? Sumedha: Well more than safety and security I was more concerned about finishing the run. With my health not being on my side and one injury after another and health issues popping up, my only concern was – “Will I be able to finish the run or not?”. I was already facing so much prejudice and criticism that I was only concerned about the miles left to go. Only safety precaution I took, was to watch out while I was running. I didn’t want to meet any road accident. It wasn’t because I was scared of death but I was scared of not being able to finish my run. Mani: Going back to that event where you created history, what was your biggest learning from the event? (a) We need to save environment. We have ruined the mother nature in the name of development. I have also mentioned this in my book that we create 4 lanes, 6 lanes and flyovers everywhere but not a single tree on roadside. Mother nature needs us and we must wake up before its too late. (b) Love and Faith can move mountains. Mani: You mention about emerging as a different person at the end of the gruelling 30-day run. What hidden personality trait of Sumedha Mahajan emerged out to yourself and to the world? 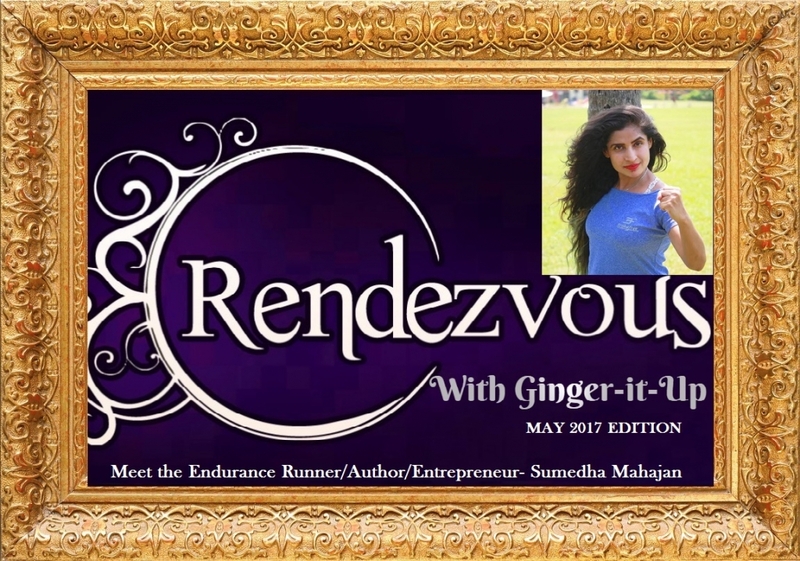 Sumedha: Before the run, all I ever wanted was materialistic desires and ego boosting designation. I was typical stereotype corporate individual who only bothered about things that were associated with me. The world issues were not my concern. But Now I don’t. I cannot sit on an issue, I try to be a support or help anyone and everyone whom I can help. I have learned we are born to give back to the universe and we have the power to be the change. Had I not faced issues and met so many women across my journey, I would have never become an entrepreneur or launched India’s first ever women’s only sportswear brand which is designed by me, keeping the challenges and issues I have come across.Now I work for humanity and environment. Mani: What advice would you like to give to young women athletes who face so many challenges every day along their journey? Sumedha: Believe in your dreams. Your passion will never betray you. You might not become Usain Bolt or Serena Williams but if you train religiously, your passion will certainly give you platform which will take you places. Be nice to other athletes and competitors. Don’t judge them or envy them. You don’t know their story and journey. Be a complete sportsperson and Be a Support. Mani: What were the hurdles you had to face when you decided to publish your book- Miles to Run Before I sleep? Sumedha: 14 publishing houses rejected me. Nobody was interested in my heart wrecking story as it lacked controversies and masala, which is in demand today and also a celebrity did not write it. 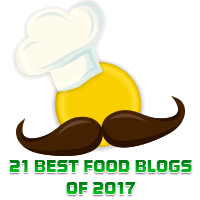 But I had faith in my writing. Thanks to my agent. With his support, I finally sold my book to Rupa Publications in 2013. Mani: Describe your experience of writing this book? Sumedha: It was tougher than running 1500kms as so many emotions and closed chapters of my life were getting reopened. It was painful and traumatic to face those demons again. A day before the run, my father gifted me a diary and said, “I want to see the world through your eyes”. So, when I finished my run, I started putting down my experiences, which became the book. I had never planned it to make it a book; however when I started writing, I realized a need to tell my story and show my journey across India through the eyes of a woman. While I was running I met many women, who wanted me to tell their story, so this was the best way to keep the promise. 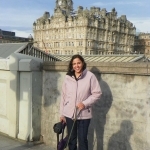 Mani: What is Sumedha Mahajan doing now apart from running every day to keep up to her wellness? 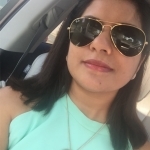 Sumedha: For past 6 months, I have been running around and traveling across the country for Brakefree and Karta Business Consulting so I hardly get time for anything else. I have no choice but to run or do some physical exercise to keep my Asthma , my Slipped disc SI Joint and health in control. I do functional training, weight training 3/4 days in a week. I make sure I eat healthy, clean and keep myself light all day long. I make sure I take all required nutrition everyday. 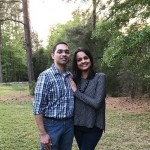 Mani: What were the challenges you faced when you started Karta Business Consulting? And What is your biggest achievement as an entrepreneur? 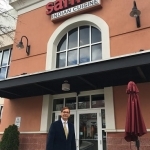 Sumedha: Business is like a marathon with no finish line. I come from a service class family and I also married into one. It took some time to convince everyone that I have made a right decision. The nagging doubts however continue and I still get judged everyday. It has been a roller coaster ride financially, physically and also mentally. Business Strategy is majorly a male dominating field. We do have women in strategy but the ratio is very low. Thus to break that ceiling, to tell your client that my firm can help them develop a road map, grow, improve and provide solutions for their firms/companies has been a daunting task and experience. However, God has been very kind and we have many clients across various sectors like polymers, textiles, pharmaceuticals, research & development, hospitality, law firm, FMCG and many others. Biggest success story for Karta business Consulting is that our existing clients have referred most of our new clients to us. Mani:Tell us something about your brand ‘Brakefree’? What inspires the birth of ‘Brakefree’? 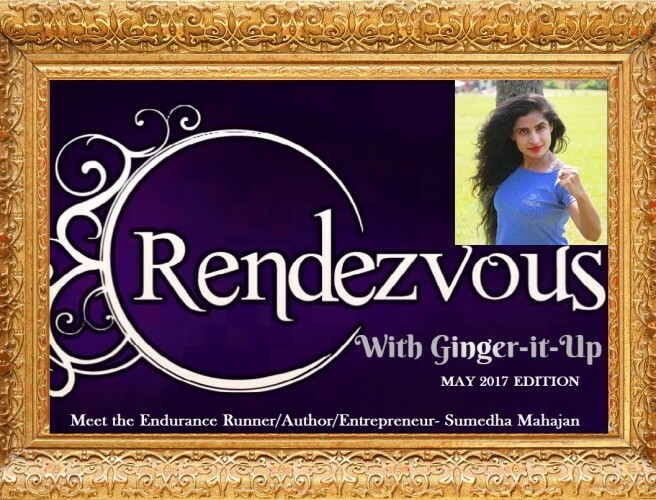 Sumedha: A confession – I never wanted to have my own sportswear brand. I never thought of it and never dreamt of it as I have been supported by world’s best sports brands for so many years. So launching my own sportswear brand was actually risking and giving up an association with these prestigious brands. Because of my book “ Miles to Run Before I Sleep ” I have been interacting with women across India and I realized the biggest problem – we don’t have proper sportswear. Most of us are forced to wear menswear due to lack of options. I shared their concerns with reputed sportswear brands but it was like talking to the wall. I was told – “If you are so concerned about what women athletes and fitness enthusiasts wear in India, why don’t you make some yourself?” And that’s exactly what I decided to do. I decided to do something for thousands of women out there who are not even on the radar of these brands. I believe that we cannot promote fitness and bring out the best performance from people unless they are given the basic necessity of sportswear which for a sportsperson is as basic a need like roti and makan. Today noone thinks about the women comfort, her requirements even when we applaud the women who win medals. We need to treat the Sports Malnutrition. About Brakefree: Brakefree is a high impact sportswear specialized for high performance sports like athletics, tennis, marathons, cycling, functional-training , cross-training and gym. We are the first ever women’s only sportswear brand in India that focuses on high impact sports. Our designs and technology are inspired by courage and the need to improve, grow and evolve. Mani: There are many big players in the market for women’s sportswear? How do you distinguish your brand ‘Brakefree’ from those big brands? 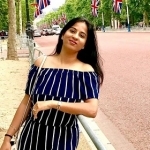 Sumedha: Globally there are more number of activewear, athleisure, yogawear brands than sportswear. However due to lack of awareness most of the people confuse activewear, athleisure with sportswear. When we talk about India, like globally we have made activewear and athleisure brand but only handful of sportswear brands and that too MNC brands. Here women sportswear is a sub category with very limited and dated options. Brakefree is India’s first ever Premium High Impact Sportswear brand that is made only for women. We have our own signature trademark fabrics, which assure deliverance and quality. I have been in sports all my life. Before running I was a national lawn tennis player . Being a woman and an athlete, I know what a woman athlete needs and I understand women sportswear. I have designed and created all fabrics keeping the utility and needs of Indian women. We have Tees which are ultra light but and do not stick to skin even after sweating and most importantly they do not become transparent even after sweating. Mani: What do you like listening to while you run? Mani: Tell us something about your family and the kind of support you get from them? 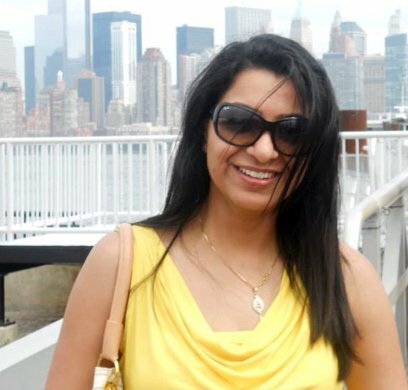 Sumedha: I am lucky to have extremely supportive parents , husband , sibling and in-laws. They all have stood by me and supported me in thick and thin. I come from very liberal and secular family. My parents have bought their 2 daughters and son as equal. They had to face more discrimination from their own family and friends because of their liberal and secular attitude towards their children but they have always given deaf ears. I don’t have conventional life and I don’t do things that every one expects from a woman like. So my husband, my parents, my sibling and even my in-laws have to face lot of opinions and judgments from the society. I have now become a thick-skinned person and I am not bothered and affected by others’ opinions and judgment but its certainly has been a tough journey for my parents, my sister and brother as they live among the society where they have to hear the societal noise even if they give deaf ears to them. Sumedha: There is a poem my father wrote and he used to recite to us when we were growing up. Amritsari Aam papad( it is a sundried mango pulp), Sambhar( my mom-in law makes the best in the world) and Paper Dosa. Mani: Is there anything else you can tell us about yourself, your career, or the profession that would be interesting or helpful to others aspiring to enter and succeed in the sportswear business? Sumedha: World needs equality. World needs love. When we work with aim of making world a better place, universe stands with us. Spread love and peace. Love people world needs love. 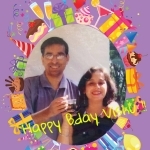 Mani: Thank you so much for your valuable time Sumedha. It was a pleasure speaking to you and I must admit that your life is a true inspiration to each and every woman in this world!